GWINNETT COUNTY, Ga. (WPIX) — A Georgia teen who allegedly confessed to killing her grandparents with her boyfriend, sealing up their room and then hosting a party for unsuspecting friends, also planned to kill several other people WSB-TV reports. 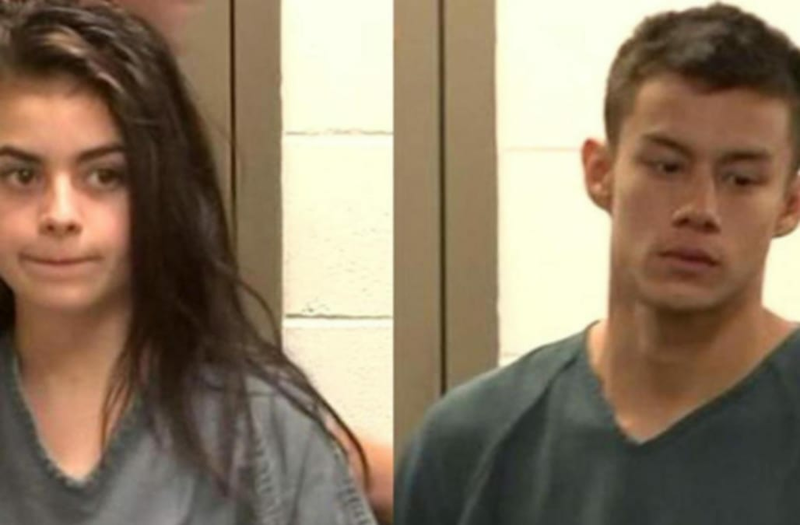 According to WSB-TV, Cassie Bjorge, 17, and her boyfriend, Johnny Rider, 18, planned the murders of her grandparents for days and thought out details such as caulking the doors shut in the house to keep the odor of death from being detected outside. Gwinnett County Police Detective Dave Brucz told WSB-TV the teens waited outside Bjorge's grandparent's home for the lights to go out, then snuck into the couple's bedrooms. "Johnny began to attack the grandfather, Cassie then said she had a surge of energy," Brucz said in court Wednesday. "She then dragged her grandmother into her grandfather's bedroom, she was duct taped." Investigators say the teens then beat the grandparents, Randall and Wendy Bjorge, before slicing their throats and leaving them for dead. According to the report, Cassie Bjorge confessed to staying in the home and smoking pot for a few days after the murders. She even invited friends over for a party — friends who had no idea what had happened. Police say Bjorge confessed that she went as far as pretending to be her grandmother via text message so family wouldn't suspect anything was wrong. "She admitted after the murder she was texting family members because they were worried about them, and she was pretending to be Wendy," Brucz told the courtroom. WSB-TV reports the teens are not only accused of killing Bjorge's grandparents, but they are also of trying to kill Rider's sister and boyfriend. "She also said they were planning on killing Johnny's family and there were plans on killing her mother also," Brucz also told the courtroom. Police told WSB-TV that Bjorge believed her grandparents had become too strict. "She had basically had enough of her grandparents," Brucz said.